SAY HELLO TO MY NEW BEST FRIEND | Nam Writes. What can I say? Those forces were very persuasive. 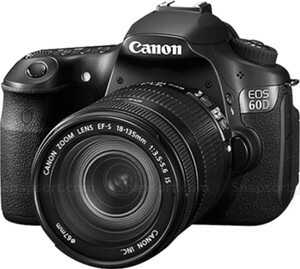 I’ve had my eye on the Canon D60 for a while and finally found it on sale for $900. Do I really need a $900 camera? Uh, no. But I really, really, really want one. I’ve only had a little time to play around with it (too much work, not enough time for play), but so far I love it. I love how fast it is — 5.3 frames per second! — and the beautiful sound it makes when I take pictures. I love that I finally have a live LCD view and the long battery life. It has video too, though I’m not sure how much I’ll use it. I’m told the D60 has way more manual controls, but I’m nowhere near that level of experimentation. Some things I don’t love: It is definitely a larger and heavier camera, although the more rugged body is probably a good thing given my tendency to drop things. Some of the weight is due to the 18-135 mm lens that comes with the camera. When I stick my old 18-55 mm lens in, the camera is definitely lighter, but I like the idea of an in-between lens instead of lugging both the 18-55 mm and 70-300 mm lenses around everywhere. Have you fallen asleep yet? Okay, I’ll stop blabbing, but know this: The D60 is beautiful and I will be experimenting with it in Paris next week. Stay tuned! UPDATE: I neglected to give credit to my good friend Tamar for alerting me to the D60 deal. She deserves all the credit. I hope you’re happy buddy! not even a ht for the deal? A thousand apologies. See above.